The Picture House by the Sea is the brilliant new novel from the bestselling author of A Year at the Star and Sixpence Holly Hepburn. Perfect for fans of Cathy Bramley. All four Picture House novellas in one book! 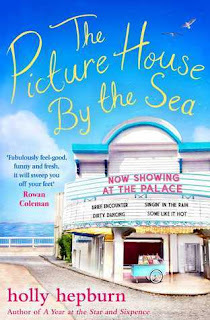 Blurb: The picture house by the sea is the Palace at Polwhipple – a lovely art deco cinema, nestled in front of azure Cornish seas. But it is long past its heyday now, and its only saving grace is Ferrelli's, the family run ice-cream concession in the foyer, which is widely known as the best ice-cream for miles. 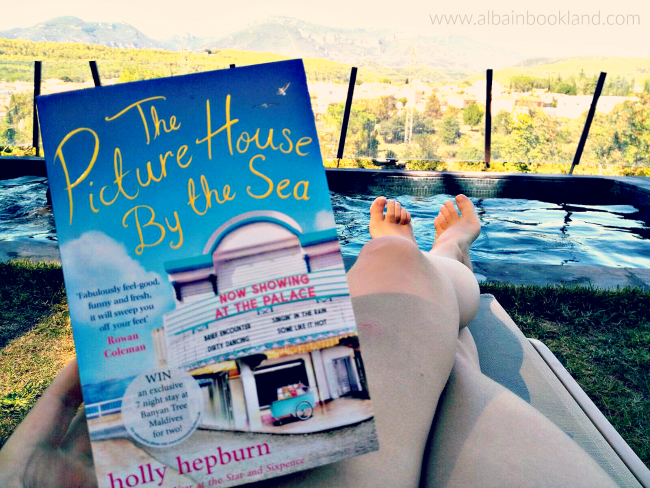 Review: last year I read Holly Hepburn's debut and fell in love with her fresh style, her fun characters and her cosy settings, so I was really looking forward to the paperback with her latest four novellas. As soon as I started with the first part, I instantly felt that same warm feeling inside. This time we follow Gina to a village in the Cornish coast, where her grand-parents live. Polwhipple has this small village community feeling, where everyone knows about everything going on but also where everybody is ready to help. But the place itself has lost a bit of its sparkle, with tourists opting for bigger and fancier towns. The arrival of Gina, who used to spend her summers as a teen there, is exactly what the place needs though. I loved her enthusiasm to try to restore the cinema and all the ideas she came out with were so much fun. I certainly wished Polwhipple was real to be able to attend one of the screenings at the Palace. Along the way Gina also connected with old friends and made new ones, which made the story a lot more interesting. I was really curious to know how Gina would combine her life in London with this new life she was creating in Cornwall. Another thing that stole my heart completely were all the cinema references. Each part of the book is related to a classic and I'm definitely planning to rewatching these movies after reading about them. And it certainly gave me ideas to throw a little theme party myself with friends. And it was real fun to see how the story in each part mirrored a bit the classics. All in all, I had a great time in Polwhipple and I was really sad when the story ended because I had really grown attached to this lovely place and its fantastic characters, although I have to say I loved how the story ended. I would highly recommend this read, perfect to escape reality for a while, and especially to movie lovers. I am already looking forward to Holly Hepburn's next book.